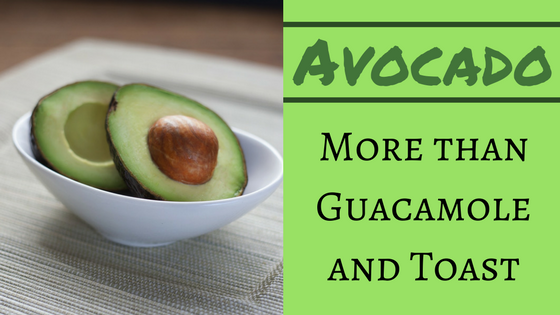 Avocado has become a huge craze in the culinary world. You can find it almost everywhere. But aside from being the main ingredient in guacamole, mostly it's found on toast. Avocado toast has hit the world and it does not seem to be going away. Don't get me wrong, there are so many good things about this trend, it's healthy, tasty, and so much more. However, avocado is so good in so many other dishes, and I thought I might share some of them with you. But first, a little bit about the health benefits of this awesome little fruit. 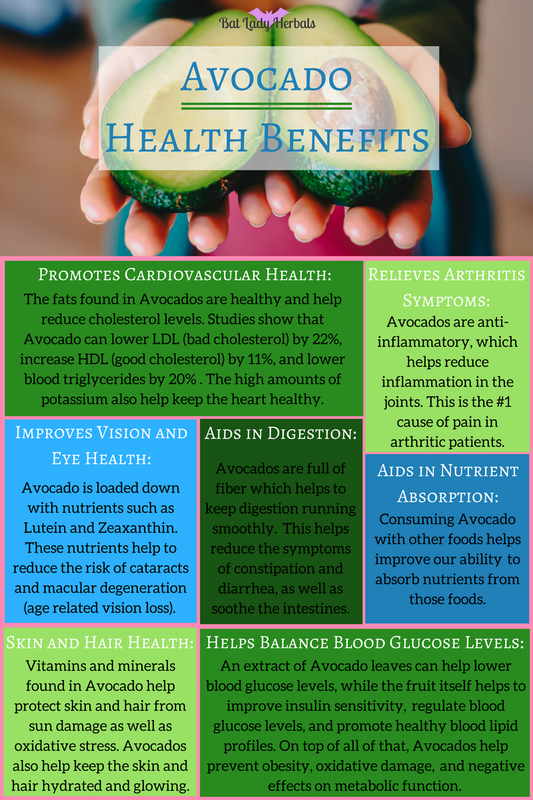 Avocado is one of the most nutrient dense foods I know of. It's loaded with calcium, iron, manganese, magnesium, potassium (more than a banana), copper, phosphorous, and zinc. It's a great source of vitamins A, B6, B12, C, D, E, and K. Avocado also contains niacin, thiamin, and riboflavin. And a single serving of this awesome fruit can contain over 40% of the recommended daily value of fiber. Though it contains a LOT of fat (about 22.5 grams) over two-thirds of this fat is monounsaturated and actually good for you. Oh and yes, it is a fruit, but it's super low in fructose. 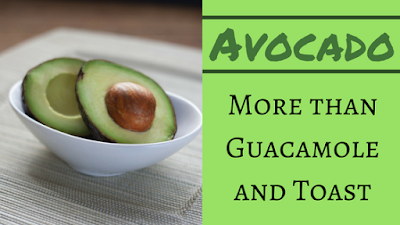 All of the nutrients help to make avocados great for your health. Several studies have shown that avocado helps keep your heart healthy, prevents age related vision loss, improves digestion and nutrient absorption, protects against sun damage to your skin and hair, balances blood glucose levels, and so much more. How can you go wrong with avocado? That's why I felt I should share these recipes today. Just in case you are wondering, yes, all of these recipes are gluten free. Most are also vegan friendly. I love having avocado for breakfast, and these recipes work so well for that. They're also great for a light lunch. These would be great with smoked salmon or bacon as well, if you like that sort of thing. Preheat the oven to 375. In a large, oven proof skillet (8-10 inches), on medium heat, use 2 teaspoons of butter (or oil) to sautee the onion (and jalapeno) until the onion is transparent. Remove from heat. In a large mixing bowl, combine eggs, cream (or coconut milk), salt, pepper, and cilantro. Whisk until eggs are well incorporated. Pour the mixture into the skillet. Add in remaining ingredients. I prefer to start with the black beans and corn, then layer tomatoes and avocado on top. *Optional, top with cheddar cheese. Transfer the skillet to the oven and bake 25 minutes, or until the frittata begins to brown and the eggs are cooked. Remove from the oven, sit 5 min to allow frittata to set. Slice and serve warm! Preheat oven to 425. Scoop out a little of the avocado, to make the hole a little bigger so you can accommodate the egg. Arrange avocado halves in a cooking dish, careful to not let them tip over. Crack an egg into each half of the avocado. Season with salt and pepper to taste. Add cheese and herbs if desired (I like to put a little garlic powder and fresh Parmesan on mine, but feta and chive is a great option as well). Place into oven and bake for 15 minutes (or longer if you don't like runny yolk). Serve warm! These recipes make a great lunch or light dinner. If you like chicken or shrimp, feel free to add it into these recipes. These recipes also work really well with Zucchini or Spaghetti Squash instead of pasta. Follow instructions on box of pasta and set aside. In a food processor, combine avocado, basil, pine nuts, garlic, salt, pepper, and lemon juice. Process into a thick paste. Slowly add in olive oil until you have reached your desired, creamy, consistency. Mix in parmesan cheese until incorporated. Toss over pasta and fresh vegetables. The heat from the freshly cooked pasta will be enough to warm the sauce perfectly. Serve warm! Follow the instructions on the box of pasta and set aside. Using olive oil, sautee asparagus and onions over medium-high heat until asparagus is tender and onions are transparent. Remove from heat and toss with pasta, avocado, salt, pepper, and sauce. Serve warm! I love adding avocado to my salads, but in these salads, avocado is the main event! They'd also be great with chicken or tuna added. Combine all ingredients in a large bowl. Mix gently, but well. Refrigerate at least 1 hour (it's super tasty if left overnight). Enjoy! In a small mixing bowl, combine lemon juice, olive oil, parsley, garlic, salt, and pepper. Whisk well. Pour over all other ingredients in large bowl. Mix well. Cover and refrigerate for at least 1 hour (it's really tasty if left over night). Enjoy! Everyone knows about guacamole, so I decided to introduce you to a few other ways to use avocado in dips and spreads. The first recipe is based on a salad dressing that I love, but it's super thick so you can use it as a dip for fresh veggies or chips. In a food processor, blend dijon mustard, lemon juice, garlic, and olive oil. Add in the avocados, parsley, onion, tarragon, miso, salt, and pepper. Blend until smooth. Pour mixture into a large bowl and add in the Tahini. Mix well. *If you want to turn this into a salad dressing, add ½ cup (or more) olive oil. Combine all ingredients in a food processor. Process until smooth, adding in chickpea liquid if needed to achieve the right consistency. Enjoy! Avocado for dessert? It's surprisingly tasty when combined with the right ingredients. If using chocolate chips, melt them (on a double boiler) before begining. Combine all ingredients in a food processor and process until smooth. Use less milk for a thicker mousse, or more milk for a creamier mousse. Preheat the oven to 350. In a small bowl, combine flaxseed and water. Mix well and refrigerate for at least 10 minutes. Line a standard 12-cup muffin pan with cupcake liners. In a medium bowl, mix together flour, sugar, baking powder, baking soda, and salt. Make a well in the center of the mixture. In well, combine the flaxseed mixture, avocados, coconut oil, mashed bananas, and vanilla. Stir in the flour mixture, be careful not to overmix. Spoon batter into muffin cups. Bake in oven for 25-30 min, or until a toothpick, inserted in the center, comes out clean. Remove from pan and allow to cool completely before frosting. Combine the lemon juice and avocado in a food processor. Process until completely smooth. Slowly add in powdered sugar until you have reached the desired consistency. Chill for 10 minutes before frosting. These frostings are not traditional cupcake frostings. They don't pipe well and are more like a thick ganache. If you want to pipe your frosting, instead of 2 avocados, use 1 and add 8 tablespoons of shortening or unsalted butter. Bonus tip! If you are looking for a great dessert for your St. Patrick's Day dinner, the “buttercream” frosting is much healthier than a traditional frosting, and it's GREEN! Have fun, play around, make more avocado recipes, and let me know what you think below!